On some days, the phone doesn't stop ringing. Pet owners from Alaska to New Hampshire call the Battle Ground Barkery to order the handmade doggie biscotti baked by volunteer students. 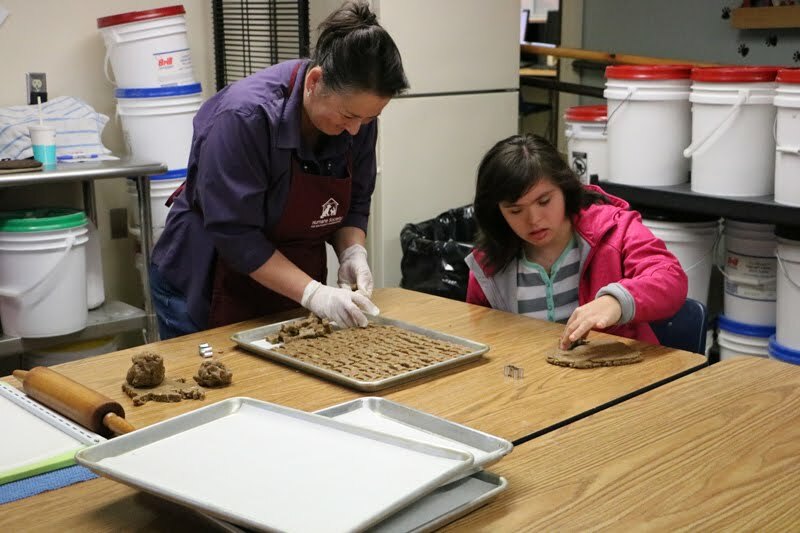 The students baking the dog treats are in Battle Ground Public Schools' Futures Program for students with disabilities. 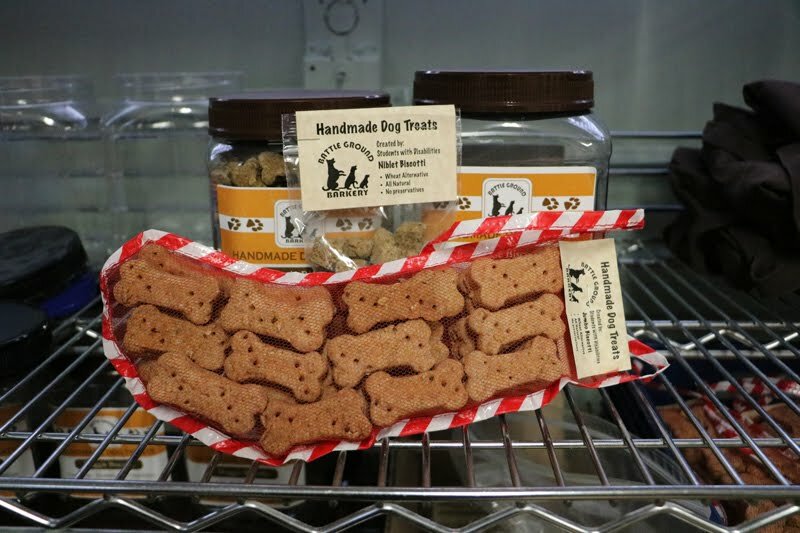 They make, bake and package the dog biscuits and deliver them to local businesses and ship them to customers. During the holidays, students package the treats in special stockings for gift giving. 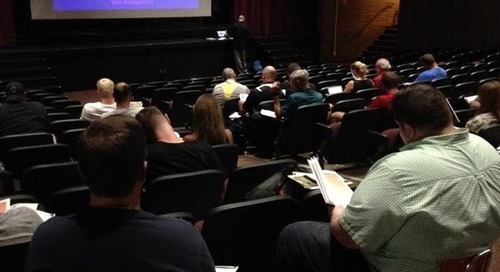 The Futures Program helps students ages 18-21 transition from high school to employment and other educational opportunities by providing them with the real-life opportunity to help run a business and learn job skills. "It's a fun, busy place," said Jodie Rogers, a special education teacher with Battle Ground Public Schools. "Everyone works hard, and everyone has a job." 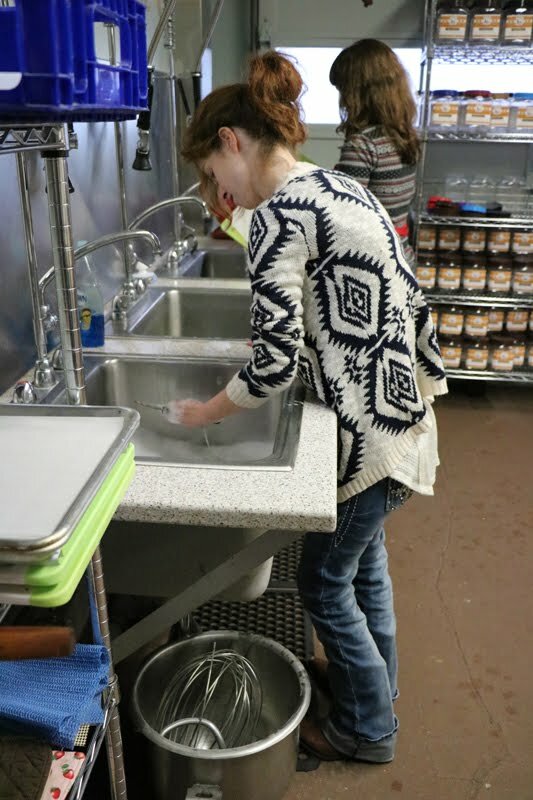 Besides work skills, the students also learn independence and responsibility. They practice creating resumes, going to job interviews and using public transportation and have a chance to hear from a guest speaker once each week. "The focus is to get work experience so the students can get paid positions when they graduate from the program," Rogers said. 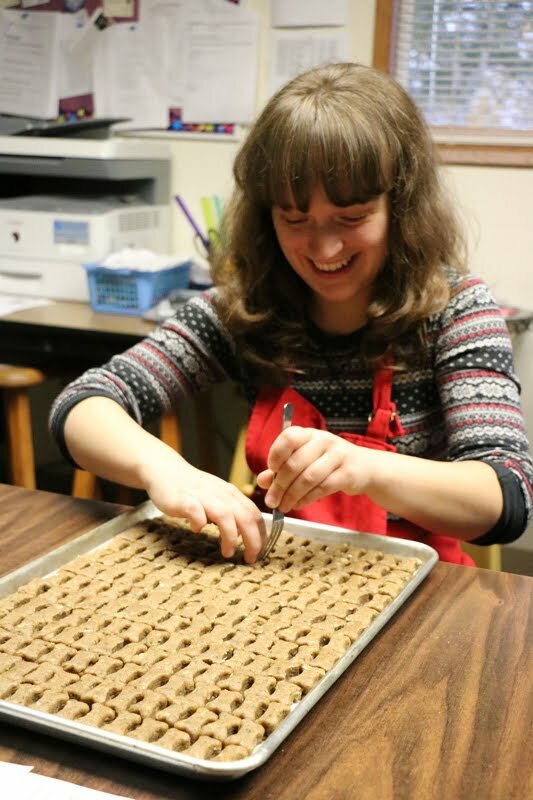 Students in the Futures Program have run the Barkery for eight years and work cooperatively with one of the special education classes at Battle Ground High School to package the treats. The students bake 300 dozen doggie biscuits each week. First they mix all-natural ingredients, including broth, eggs and non-wheat flours, and then they roll and cut the biscuits before baking and bagging them. The students also participate in delivering biscuits to customers. All money made from the sale of the dog treats pay for the ingredients and supplies and some equipment. Last summer, the Barkery got its kitchen remodeled and added a commercial oven thanks to a donation from a local business.